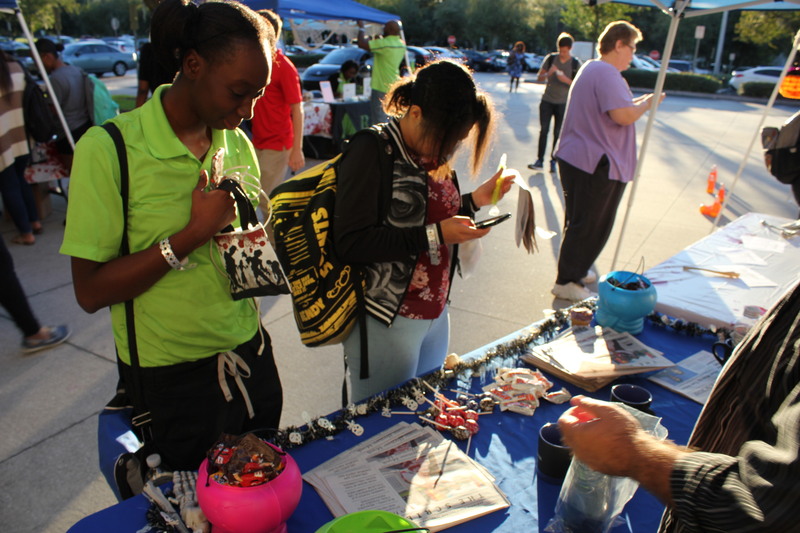 ALTAMONTE SPRINGS—Hundreds of students attended the “Night of the Living Debt” event hosted by the Office of Student Life at the Altamonte campus Oct. 30 where they could find answers on the issue of student debt. The event had representatives from financial institutions such as Regions Bank and a representative from the Foundation for Seminole State College informing students of scholarship opportunities. Students at the event described debt as a major problem facing students, who often face the dilemma: “Should I go into debt or not go to college at all?” There is a real fear of either living in the debt of student loans or living in poverty from not going to college. The problem even affects students at the State College level. The problem can cause students to think that there are only two options, go in debt or don’t go to college, but there are many other resources available to students, especially at Seminole State. Most students are unaware of the resources available to them in order to help them pay for college, so they choose to take out a student loan while there are scholarships and grants available to students that go unused. General Scholarships for all students that uses information provided in the student’s application. Program-Specific Scholarships awarded to students participating in certain programs and extracurricular activities at the college. High School Graduate Scholarships are available to Central Florida students about to or who have graduated from high school. Adult High School/GED Program Scholarships are given to students in the college’s adult high school or GED program. Auguste, the student at Seminole State, said he works at the front desk at the Altamonte campus. He said students are “absolutely not” aware of the resources available to students to assist in paying for college. The current student loan debt total in the United States is at an all-time high of $1.52 trillion with 44.2 million borrowers, according to Forbes. Students used to be able to pay their way through college, but in 2018, this has become more of folklore and less of a reality. 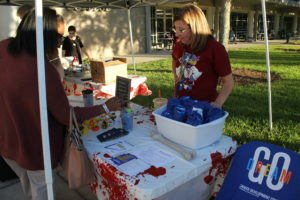 The “Night of the Living Debt” event was there to remind students of the $1.52 trillion in debt that lurks behind students like zombies in the night, ready to attack. 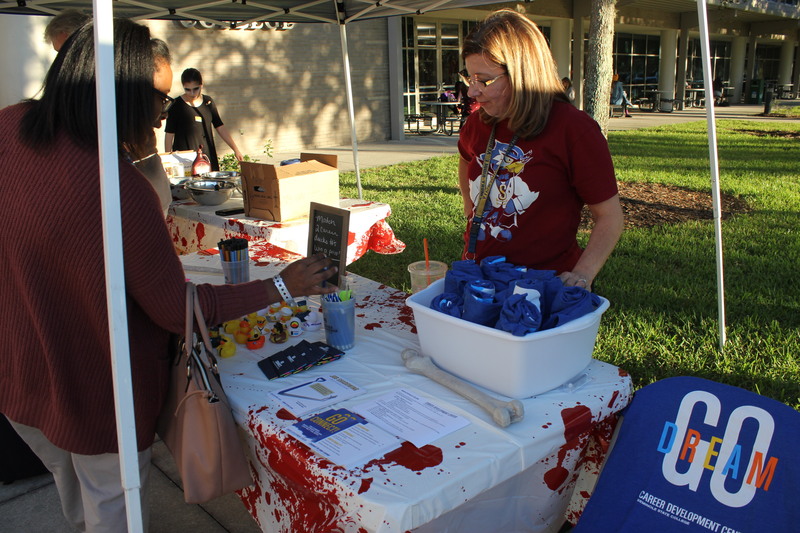 The event aimed to arm students with the tools to fight off debt by giving students resources, such as information from Regions bank about how to save money and not use credit for college, to information from Foundation for Seminole State College on scholarships to pay for tuition. More information on the Foundation can be found at seminolestate.edu/foundation/.